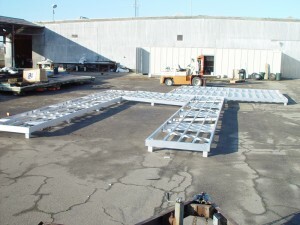 Made with a marine grade corrosion resistant aluminum frame and an all welded design, Mid-Cal Construction floating aluminum boat docks are a maintenance free, durable, and cost-effective dock solution. 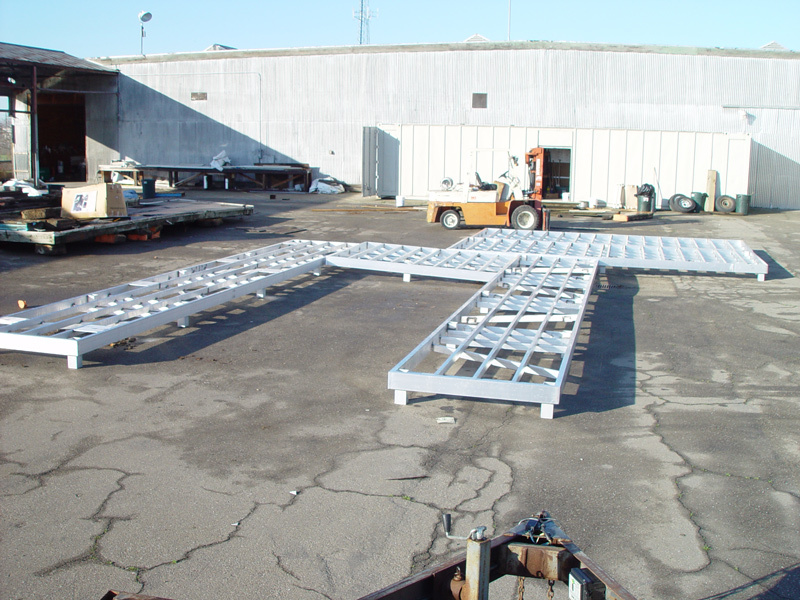 With our 40 years of experience in marine construction, we have concluded that an aluminum frame provides the best solution when building a dock system. Aluminum is a strong material that is well suited for outdoor exposure in both fresh and salt water environments. Aluminum boat docks are resistant to aquatic conditions, free from rust or splintering and maintains its aesthetic and functional integrity. Wood tends to rot, warp, splinter, crack and suffer harm from insects. It is a relatively soft material that can easily be damaged by boat impacts and extreme weather conditions. Wood docks require frequent repair and must be treated with wood preservatives to prevent deterioration. 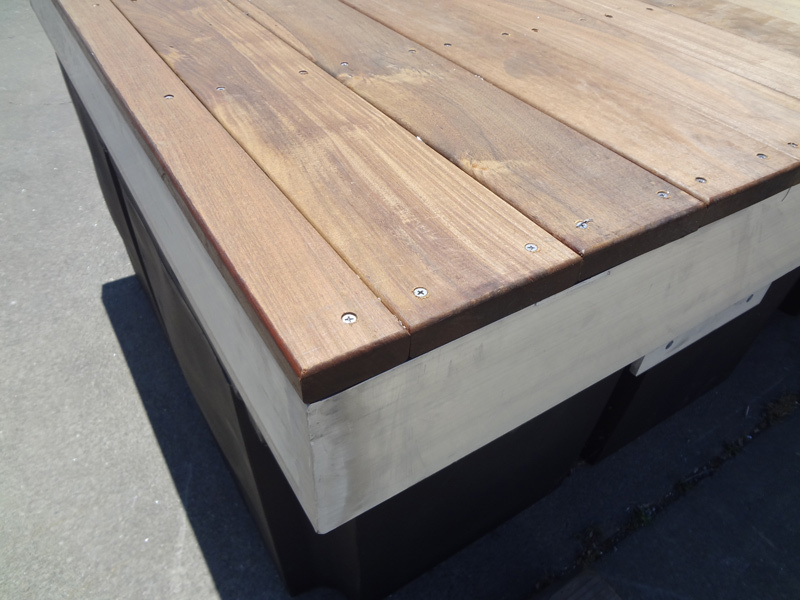 Steel docks offer a stronger alternative to wood but rusts and corrodes causing a need for regular maintenance. 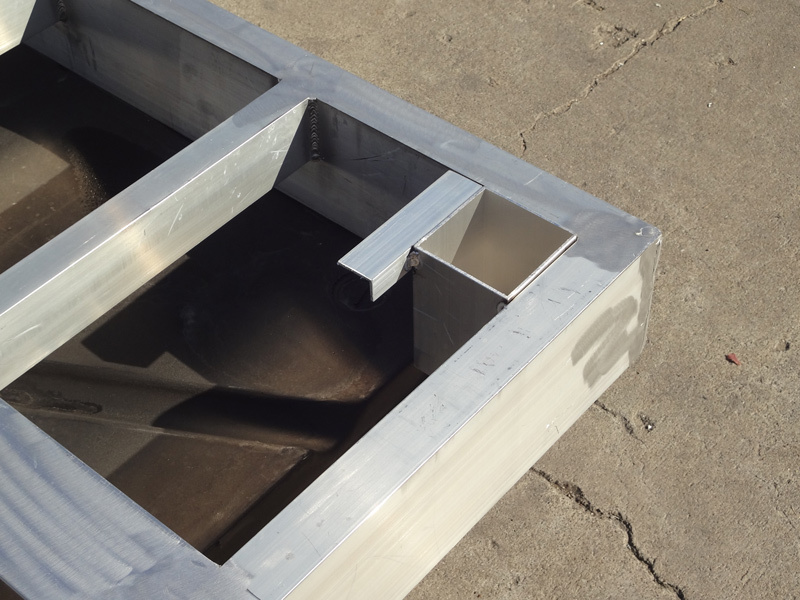 The aluminum framed dock can be decked with the same materials as traditional docks. To match the longevity of the aluminum frame, Mid-Cal Construction recommends Brock Vinyl Decking. The 100% virgin vinyl is Highly durable, maintenance free and won’t fade or discolor. We also have additional options including Ipe Brazilian hardwood, composite decking, GlobalGrid, or Tuff Tread.